Farmers from 150 miles around come to the Dallas Farmers Market, giving you the chance to “buy locally”. These certified local producers offer a wide array of seasonal produce. 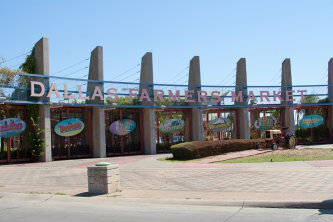 At the Dallas Farmers Market, you can also find specialty and prepared foods, flowers, shrubs, and trees. Also, you can have the opportunity to buy in bulk. It only takes one visit to understand why the Dallas Farmers Market is the market where locals go.